I am proud to be able to participate in the second installment of A Menu for Hope, the charity brainchild of our tireless crusader Pim. Just one year ago, the world was reeling from the shock of the Asian tsunami which devastated 13 countries, left 150,000 people dead and half a million homeless. In January Pim organized a charity event in which several well-known food bloggers contributed courses to an Asian-inspired ‘Menu for Hope’, with which they intended to inspire readers to donate. Little did we know that scarcely ten months later Asia would have experienced a second disaster that would rival the tsunami in terms of sheer devastation; at last count there are 75,000 victims and over three million left homeless as a result of the October earthquake in India and Pakistan. This time, Pim has hatched an even better plan – dozens of food bloggers have promised to contribute items to an open raffle, and all the proceeds from the raffle will go to Unicef for earthquake relief. But the best part? A raffle entry costs only $5. There are some amazing prizes on offer, running the gamut from photography classes to restaurant vouchers to food baskets and favorite recipes. There’s also a healthy selection of cookbooks to add to your collection, and this is the category in which I am contributing. I have chosen to donate Culinary Artistry, one of my favorite books about food, a book which falls halfway between a conventional cookbook and a reference manual of taste. The award-winning authors Andrew Dornenburg and Karen Page have consulted with dozens of top chefs and put together a culinary resource that touches on many different areas of food preparation: what tastes go together, how to construct a balanced menu, and reflections from chefs on what makes food great. Most useful, I think, is the near-encyclopedic flavor catalog – a list of practically every foodstuff under the sun, and a list of flavors that complement each one (many of them non-traditional). 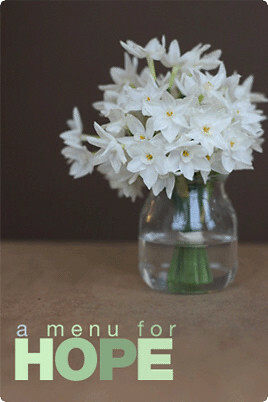 And unlike many ‘normal’ cookbooks, this one encourages creativity and improvisation instead of reeling them in. A bargain at only $5, if I do say so myself. All you have to do to enter the raffle is click on the ‘donate to Unicef’ button below. You’ll be taken to the site FirstGiving.com, where after donating there’s a handy comments section for you to specify what prize you want should you win. The donation lines are open until December 23rd, after which the prizes will be announced. Don’t forget that the more $5 donations you make the more different prizes you can request! But even if $5 is all you can afford, please donate – though it may seem like a drop in the bucket, with many drops is the bucket filled. This is awesome.. . they have collected almost $11,000 and there are still 3 days to go!! I am so proud that you’re a part of this, and delighted to be able to participate.